The agency of Brian J. Howe Real Estate upholds itself on high professional standards. All types & sizes of properties are required, Residential & Rural Sales- Rental Properties including Rural Homesteads. We have an experienced Licensed Sales Agents and a Property Management team that will provide Confidentiality; Experience and High Ethical professional standards. 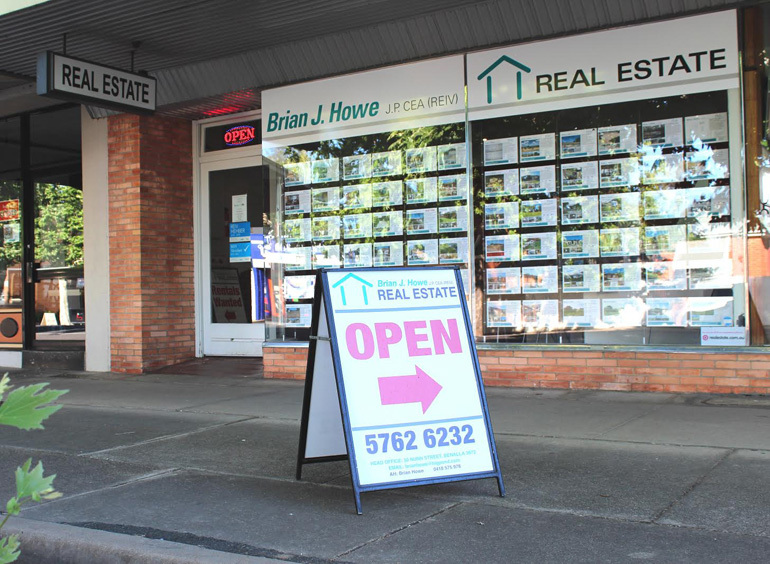 The Agency Principal Brian Howe J.P. CEA (REIV) – Licensed Estate Agent & Auctioneer and is noted in his expertise & passion he offers in his family owned & operated local business. He is an active Justice of the Peace and a passion to assist the elderly in a fair deal!